A stepparent adoption can be an exciting for the family, securing family ties and benefits to children. If you have an order to participate in a stepparent adoption evaluation by Bradley S. Craig, LMSW-IPR, CFLE concerning your background and child care plans, this web site contains the information and forms you will need. PLEASE NOTE: I AM REQUIRED TO DISCUSS CHILDREN'S FEELING ABOUT ADOPTION FOR ALL ADOPTIONS, INCLUDING STEPPARENT ADOPTIONS. Please review the list of forms below which must be completed prior to the interview, and the list of materials you will be required to submit at the interview. Gathering this information may take several weeks, so PLEASE START NOW. The total non refundable fee is due at the time the time of intake. Work will begin after the payment has been made. No partial payment will be accepted. 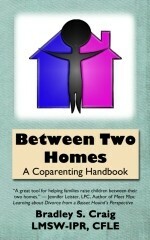 $700.00 + $50 for each adult in the home other than the parent and stepparent. $50.00 for each child in the home over the number of two children. There are occasionally unusual circumstances that require additional fees. Studies requiring less than 45 days to complete require pre-approval from Mr. Craig, and there is an additional fee of $200.00 for the parents and $50.00 for any other adults in the home. $50.00 for each child in the home over the number of two children. For studies within a 70-mile radius from Mineola, TX, the parties are required to pay the standard study rates. For studies in Texas beyond a 70-mile radius from Mineola, TX, in addition to the standard study rates, there is a travel fee of $50.00 per hour for travel time, plus 50 cents per mile. Travel time is rounded up to the nearest 30-minute increment. For evaluations outside of Texas, in addition to the standard evaluation rates, fees are charged for travel time, and travel expenses. Travel time is $25.00 per hour, rounded up to the nearest 30-minute increment. Travel time is based on the time period from Mr. Craig's arrival at the origination airport until his arrival at the destination hotel, plus the time from the destination hotel until his arrival at the origination airport. Travel expenses include the full expense of the airfare, a hotel room, a rental vehicle, and gasoline reimbursement for the rental vehicle. Airline tickets must be mailed to Mr. Craig prior to the visit. $600.00 per half day, $1100.00 Per Full Day, Due not less than 5 business weekdays prior to testifying. Please mail your check directly to Mr. Craig at PO Box 1353 Mineola, TX 75773. Print out the checklist of items required for an adoption study. Please submit each form separately to brad@childreninthemiddle.com in .pdf format. Please do not send paper copies of information as we maintain digital files. If you mail your documents, you will be charged the rate of $200.00 per hour for time spent scanning documents in to digital format so you are encouraged to fax or scan your material. An advisement form needs to be completed by the biological parent and a separate one for the adoptive parent. Please initial each page and sign the last page. Complete, sign, and return one form for every adult in the home. Other adults in the home do not need to complete pages 16 through 20. To be completed by the adopting adult. Complete, sign, and return one form for each professional or entity for every adult and child in the home. Complete the DPRS records request for each adult in the home and email to the address provided on the form. In accordance with Texas Government Code, Section 411.128, a person seeking to adopt a child under Chapter 162, Family Code, who is ordered by the court to obtain the person’s own criminal history record information (CHRI) from the Department of Public Safety under Section 162.0085 Family Code, shall request the information as provided by that section. Information about obtaining your criminal record history is available by clicking here. Please make note of the date you mail off the card. Please do not have your adult children complete a form, they instead should complete the form below entitled ADULT CHILD COLLATERAL QUESTIONNAIRE. Completed collateral questionnaires should be mailed directly to Mr. Craig at PO Box 1353 Mineola, TX 75773. You may wish to provide an addressed, stamped envelope with MY address for each individual completing the questionnaire. Print out a copy of the form for each of your adult children who do or do not live in your home. Print out a copy of the form for each child care provider your children have used in the last five years. Child Care Questionnaires must be mailed directly to Mr. Craig at PO Box 1353 Mineola, TX 75773. You may wish to provide an addressed, stamped envelope with Mr. Craig's address for each provider completing the questionnaire. Print out a copy of the form for the current and most recent past school your child has attended. School Questionnaires must be mailed directly to Mr. Craig at PO Box 1353 Mineola, TX 75773. You may wish to provide an addressed, stamped envelope with Mr. Craig's address for the school completing the questionnaire. Provide a copy of each marriage certificate and each decree or modification of divorce. You may need to send for copies from the counties where you were married or divorced. Provide a current Statement of Health by a physician for the adopting parent(s) and subject child(ren). Provide a current Statement of Emotional Status by each psychiatrist or therapist that you or the children have seen in the past 5 years. If the therapist does not wish to release the information to you directly, provide the therapist with a copy of the CONSENT FORM (with their name in the top blank), and ask them to mail the statement directly to Mr. Craig at PO Box 1353 Mineola, TX 75773. See your attorney or CPA for details if needed. The fully completed information on your Personal Data Sheets will suffice. Provide a copy of School Records for each child in your home and any biological children you have. Include records for the past five years. A basic sketch of the floor plan of the home showing dimensions and purposes of all rooms in the home, along with photographs of the outside areas of the grounds used by the child. It does not need to be architectural plans, or extreme detail, but please make it something legible that the court could easily review. This is required. Please review the following checklist to prepare for my home visit. Please provide copies of all court documents related to the adoption. In addition, please provide any current orders the subject children or any biological children of the parent or stepparent are subjects of. You may wish to consult with your lawyer.